Happy Valentines! 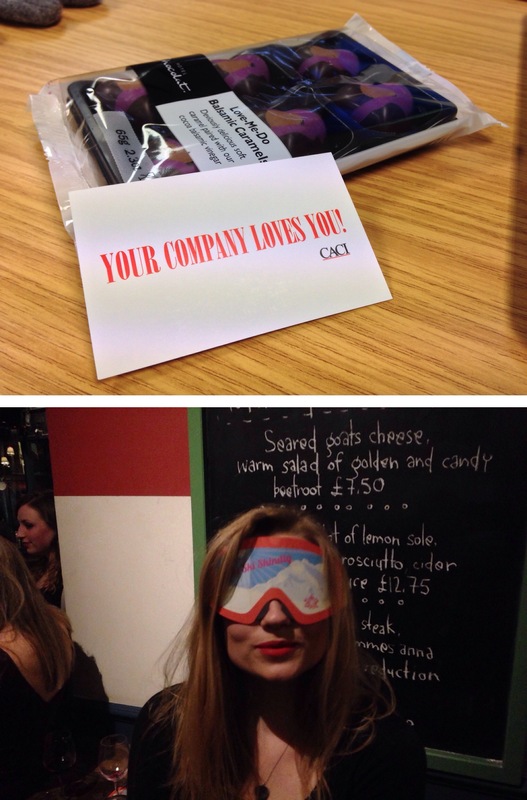 We all received a lovely little treat from CACI today (where I work). Everyone got a cute box of chocolates from Hotel Chocolat, very nice. I do love my job! I then headed out this evening for dinner with Kat and Alister and got far too drunk with them, but it was a hilarious night – we found paper ski masks!